While Vocal Point showcases mostly popular songs from yesterday and today in their concerts, the group always includes a few hymns and inspirational songs. 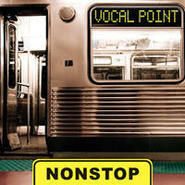 Now for the first time, Vocal Point's music of praise and worship is featured exclusively on its own album. * CD booklet contains full lyrics to all songs except "We All Need Saving." 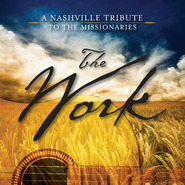 All songs recorded and mixed by James Stevens at Stevens Music and McKay Crockett at Studio 87c, except the following songs: "He Is Born" and "Be Still, My Soul," which were produced previously by Bob Ahlander, with original recordings by Scott Wiley at June Audio, and "I Stand All Amazed," which was mixed by Ed Boyer. 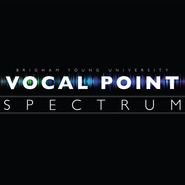 I am a big fan of vocal point, are you in of need some music to bring the spirit more strongly into your life? This can be the CD that can do it for you. It is a CD that bring comfort to me or I just need a little boost to make it to Sunday. My 10 year old son sings along with the CD. We both find it peaceful, uplifting and comforting. He has most of the songs memorized. When we sing them in church he sings as loud as he can. I gave a copy to my non-member neighbor who also loved the CD. It is very well done. All songs are acapella, with wonderful vocal arrangements. 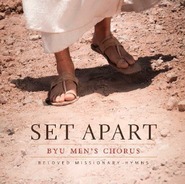 I wish they would do a few more hymn based CD's. Thank you for a wonderful CD. Worth every cent.